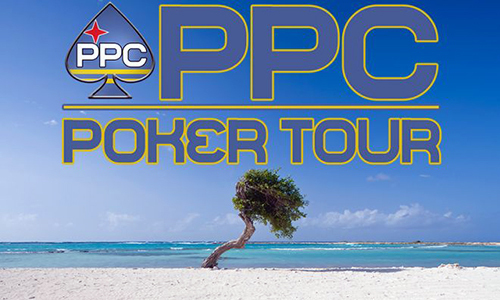 Four of the top six finishers in the PPC Poker Tour have filed a lawsuit against the Florida-based PPC (Players Poker Championship) after failing to receive full payouts of their winnings at the PPC’s November 2016 Aruba World Championship. The four players filing suit include the event’s listed winner, Stephen Deutsch, who was supposed to collect $133,687 after triumphing over 265 other players in the $2,400 buy-in Aruba main event. Other plaintiffs in the case, filed in Montgomery County (Maryland) Circuit Court, include PPC Aruba fourth-place finisher Michael Lerner ($48,126), fifth-place finisher John Ott ($32,085), and sixth-place finisher Joan Sandoval ($21,930). The Maryland Live! casino, a popular East Coast poker venue, was the host facility for the PPC satellite tourney through some or all of the four plaintiffs won their entry to the PPC Aruba main event. In addition to the alleged liability, the Maryland casino was certainly included for its “deep pockets” status. That permanence contrasts significantly with the PPC Poker Tour and its co-owners, Swartzbaugh and Oulton, who have pulled up their virtual stakes as news of their tour’s financial problems emerged in recent days. Swartzbaugh and Oulton have both deleted their personal accounts on social media, while most existing content has been stripped from the PPC’s website at ppcpokertour.com. The PPC’s problems have also been outed in recent weeks in discussion threads on poker-related forums, where the no-pay allegations involving the top seven finishers at the PPC Aruba main first surfaced. Each of those seven players appears to have received $10,000 of their prize winnings, a set-up not that unusual on its face for poker tourneys based in Aruba, since winners there and elsewhere in the Caribbean have often experienced difficulties in taking large amounts of cash, their poker winnings, through international customs. As a result, several different tours have taken alternate steps in sending most prize winnings to top players, often through bank wires. The PPC claimed an arrangement to send the remainder of winnings to its top players but actively failed to do, according to the affected players and others familiar with the situation. It is worth noting that the PPC Aruba main offered a $500,000 prize pool and in fact exceeded that amount, being scheduled to award $534,743 to its 27 cashing participants. The failure of a guaranteed prize pool to be handled properly is another obvious red flag. A preliminary case schedule has already been established, should matters not be settled or dismissed beforehand. That schedule allows for discovery to continue through September, with a settlement/pre-trial hearing scheduled for early November. The defendants and their attorney also obtained a restraining order against the PPC and its owners. The order reads, in part, “that Players Poker Championship, LLC is enjoined from transferring any assets to its members, to investors, to insiders, to third-party creditors, or otherwise, pending further order of this court.” That restraining order is in effect until February 7th, 2016. PPC co-owners Oulton and Swartzbaugh, the various PPC business entities, and the Maryland Live! casino that hosted the Aruba satellite have also been issued court summons in connection with the case.